About us - Dog Training, Trainer classes, Pet matching | Konfident Kanines Inc.
Larry Neilson, founder, head-trainer, and behavior specialist for KKI has compiled in excess of thirty four years of experience working with and studying canine behavior. Larry is a Certified Dog Trainer with extensive experience working with canines of all breeds and behavioral issues. He has developed an intriguing connection with the canine species that few others anywhere have been able to accomplish. 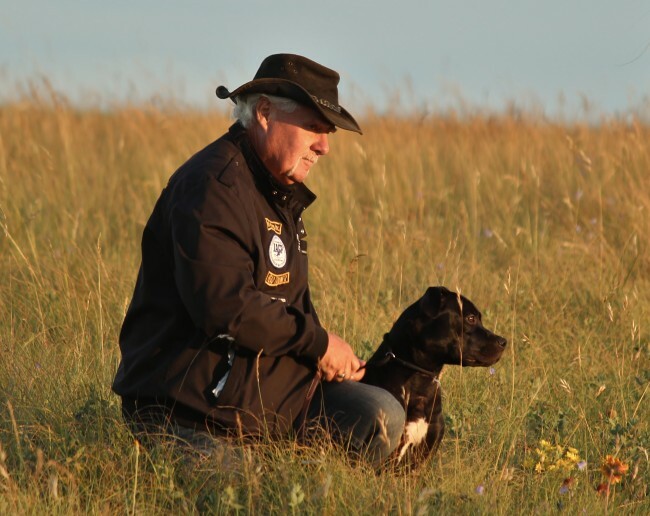 His wide-ranging and meticulous study of canine behavior and their methods of communication have allowed Larry to develop a unique and philosophical approach to canine training and behavior modification. His assertive yet non-adversarial, effective and humane teaching and rehabilitation methods have withstood the test of time while proving to be effective for all breeds and all behavior issues. Larry’s goal is always to provide proven, and reputable training processes designed to help owners rehabilitate dogs and educate them on effective methods to establish and maintain good canine behavior.